Sharp Electronic Pocket Spanish English Dictionary & Thesaurus -$4.24 After Rebate -Free Shipping! Amazon.com has the Sharp PW-E250 Pocket Oxford Spanish-English Dictionary & Thesaurus for $4.24 after a $40 rebate - free shipping! Not as good as the $0.99 after rebate deal, but still an amazing price! Make sure to buy it direct from Amazon, not a 3rd party seller! Amazon.com has the Black and Decker CHV7250 7.2 Volt Wet/Dry DustBuster for $9.99 with free shipping, even under $25. It's a great price, but it has mixed reviews on Amazon. Click here to complete the 2-minute survey, and get a "FREE Swingline Optima Desk Stapler, worth over $20!" To be notified of new posts, send an email to DealReviews@gmail.com. Make sure to add DealReviews@gmail.com to your contact list so that the emails won't end up in the spam folder. Note: There may be a delay from when a post goes up till the email goes out. 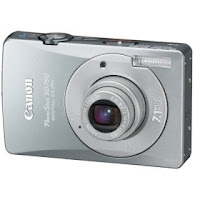 Circuit City has the Canon S5 for $269.99 - Free Shipping! A great price for a great camera, especially if you can get it without tax. Do you need a cell phone but rarely use it - say under 200 minutes a month? Do you live out of the States but often visit? A prepaid cell phone might be the best option for you. T-mobile has the best prepaid prices that I have seen! There is no contract, so you can cancel whenever you want. If you don't use it often, you can have a US cell phone for as low as $10 a year, after an initial $100 investment! The way it works is, if you prepay $100 you get 1000 minutes (10 cents a minute) and those minutes don’t expire for a full year. Once you have added $100 you automatically become a Gold Member for life. So obviously when you add $100 you will be getting the most value. Every time you add money, ALL your minutes that you have on your phone will extend till the expiration of the minutes you just added. So, just before the first year is over, if you add $10 to your phone (which will give you 35 minutes), all your minutes will last a 2nd year. If you don't use your phone much, it will just cost you as low as $10 a year! You can often buy the refill cards for 10-20% cheaper then the regular price (sometimes even less) on eBay. Or get them at ephonecard.com $100 card for $88 with coupon code ephonecoupon. T-mobile Link (Click on the left side of the page where it says "T-Mobile Prepaid') They have a nice selection of decently priced phones, e.g The Nokia 2610 for $29. All phones have free shipping and come preloaded with 10 minutes of airtime. If you already have a T-mobile phone (or an unlocked GSM phone) then all you need is a Sim card which T-Mobile sells for only $4.99. Every once in a while T-Mobile has a promotion where you get a free $25 refill card for purchasing a phone. So if you are not in a rush to get a phone, you can check again in a few days. Note: You must activate the phone within 30 days of purchase, or else you might be charged the full retail value of the phone, as the online price is heavily discounted. You can cancel whenever you want, but you must activate. 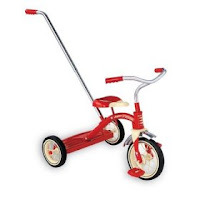 Amazon.com has the Radio Flyer Classic Red Tricycle with Push Handle for $19.98! Free Shipping on orders over $25.00 or with Amazon Prime. I wouldn't say its a steal, but its a great price! It has mixed reviews on Amazon. Dell Vostro 200 Slim Desktop -$359 -Free shipping! Dell Small Business has the Vostro 200 Slim Desktop for $359 with free shipping! Dell has the Canon PowerShot SD750 -$119.99 -free shipping! Orbitz is running a promotion: $50 off a 2-night hotel stay. Just a heads up that I got a car in NY through Priceline for just $19 a day. It was an economy car with Avis at LGA. It might be even cheaper (or more expensive) depending on the season/dates. Spending more money doesn’t always mean getting a better product. Very often, with a little research, you can get a much better product and pay way less! 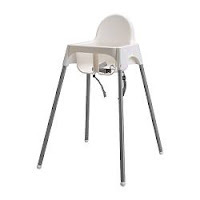 A highchair sounds like an unusual product to have on this site, but I have seen too many people buy the most expensive, feature-filled highchair... then not be happy with it. I have friends, whom after seeing our highchair, have packed away their pricey highchair and purchased the Ikea Antilop highchair! There are many types of highchairs these days; they can cost upwards of $100 to over $400. They can be big, bulky and come with cushions which are extremely difficult to clean, especially once your baby starts feeding him/herself. And best of all, it only costs $18.99! The tray is purchased separately for $5. So you can purchase more than one tray if you want. It’s a simple no frills Ikea-style highchair. I have this highchair for almost 2 years and I am very happy to have purchased it. I bought it because a preschool I know has them for over 3 years in a commercial setting and they are still in perfect condition! The nursery has gone through so many types and this is the one they are staying with. It’s also the most hygienic, because there are no nooks and crannies for food to get stuck in! The only downside for some people may be that there is no cushion. Some small babies might appreciate the cushion, although personally I think that no cushion is better, as once a baby is old enough to sit in a high chair, s/he does not need a cushion. Staples - 100 Business Cards For $1.99 - Free Shipping! Staples Custom Printing has 100 custom business cards for $1.99 with free shipping. Use one of their designs or upload your own. Use coupon code: 93128, the coupon is added at the final checkout stage, before submitting the order. Tax is added where applicable. Note: These cards are not nearly as cheap as the Vistaprint cards. However, the Staples cards don't have the Staples logo on the back of the cards, and you can upload your own design. Grocery Sale At Amazon.com - $20 Off $49 - Free Shipping! Amazon is having a grocery sale! Spend $49 or more on any combination of eligible products and get $20 off your order! Free Shipping! Stock up and save! Here is a list of all eligible products. Candies - Gushers, FruitRoll ups etc. Look around, you will find some great prices. E.g. : Gushers usually cost about $3 a box. With this sale, it comes out to $1.66 a box or less. 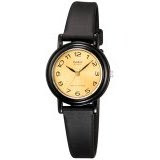 Amazon is having a sale on Casio watches. Free shipping on orders over $25 or with Amazon Prime. This deal was originally posted on 02/18. I was a bit skeptical about Vistaprint actually honoring the price ($0.99). Even if they would, I was sure the quality wouldn't be that great, as the price is way too cheap. When my order arrived, I was very impressed by the quality of the products. The T-shirt looks great, the rubber stamp works well etc. I was equally impressed by the shipping speed (mine arrived less then a week after ordering). For this price you just can't go wrong! Vistaprint has some great Freebies! On the left side of the page you will see a link to Free Products. By shipping options, be sure to check 'Slow: 21 Days - $0.99'. 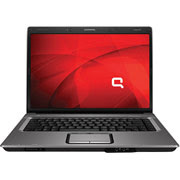 Compaq Presario F750US Notebook And Printer - $399.96 - Free Shipping! for $399.96 after easy rebate with free shipping! This is a budget laptop for a great price. The rebates are easy rebates, no need to mail anything. Note: This is the same deal that was up on 01/27.